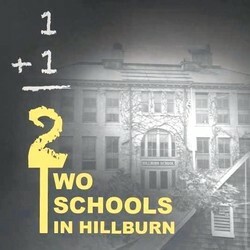 Two Schools in Hillburn, which premiered in 2017, explores one of the most important moments in the history of civil rights and education in New York State. It tells the story of the brave efforts of the families of 49 children who attended the beat-up, old "colored" Brook School and the young NAACP attorney, Thurgood Marshall, who came to Hillburn in 1943 and saw that segregation was alive and thriving. Thanks to Marshall, the practice of segregated education was ended in Rockland, and the families were be able to send their children to the better-equipped Hillburn School. But the fight wasn?t easy, and it easy and it wasn?t clean. The screening will be followed by a Q&A with Joe Allen, the maker of this important film. 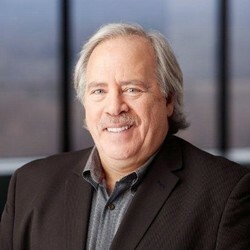 About the filmmaker: Joe Allen, senior vice president of the global trading firm Active International, is a documentary filmmaker and philanthropist in Rockland County. In addition to Two Schools in Hillburn, he produced and directed 20 Million Minutes, which tells the story of a community organization that took on the International Olympic Committee to win a moment of silence to recognize the eleven Israeli athletes murdered by terrorists at the 1972 Olympics in Munich; the second, Hudson Valley Honor Flight: Generation Bridge, is about taking World War II veterans to Washington, DC, to visit the monuments in their honor and then to schools to talk about the war and their experiences. Or you can email us at info@rocklandhistory.org or call (845) 634-9629. As a courtesy to our guest speaker, please arrive early to avoid interruptions. The presentation will begin promptly at 7:15 pm. Latecomers with reservations may forfeit their seats. Walk-ins will be admitted only if space permits.